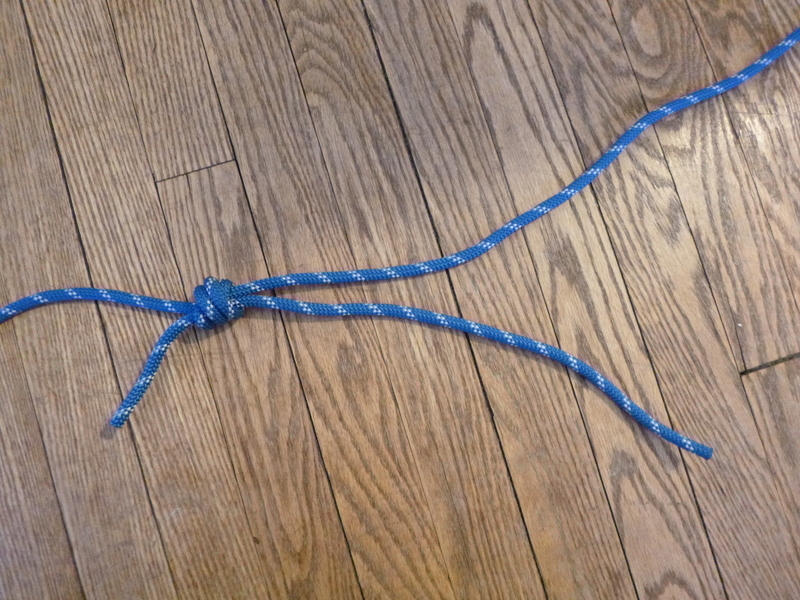 A cordelette is a loop of rope that is used to build rock climbing anchors. The instructions below will show you how to make a cordelette. 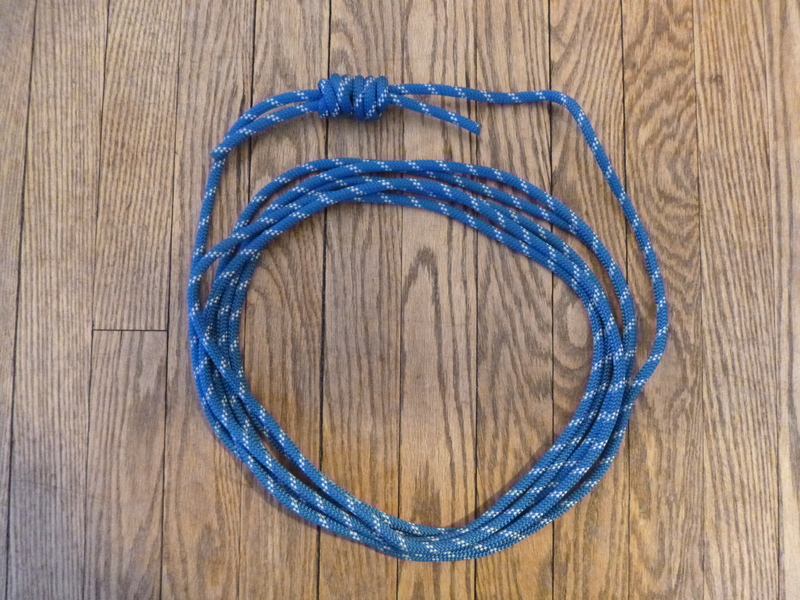 To tie a cordelette, first buy 21 feet (640cm) or so of 6mm, 7mm or 8mm cord . Thicker is generally more durable for top roping but thinner is lighter and smaller for multi-pitch climbing. When in doubt use thicker cord. Loop the cord around so that the two ends are overlapping. Overlap the cord by about 30″ (25cm). 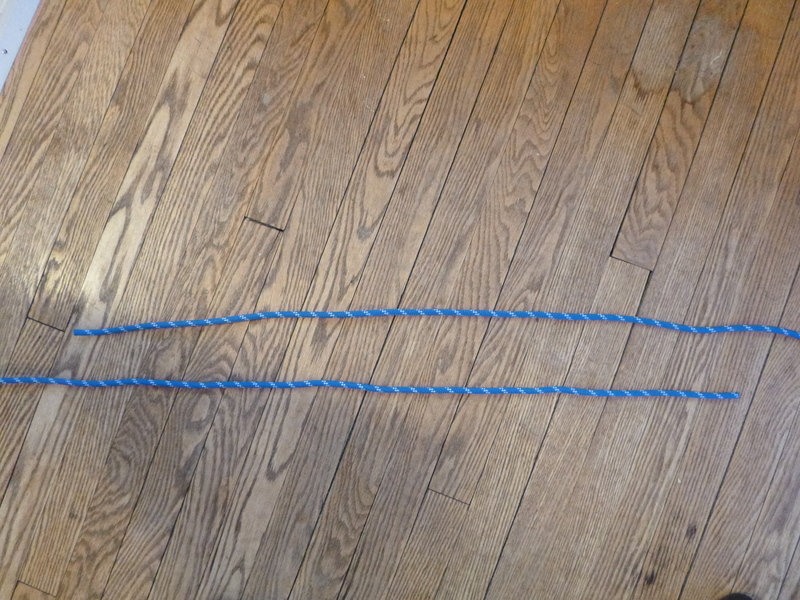 Using one end of the cord, tie a double fisherman’s knot around the other end. Use a triple fisherman’s knot with cord with a slippery sheath. Be sure to leave about a 1 to 2″ (2.5 to 5cm) tail coming out of the knot. Make sure the knot is very tight. A triple fisherman’s is shown here. A triple fisherman’s knot is recommended for smaller diameter or slippery cord. The cord is now a loop, connected by the knot. Tie a double (or triple) fisherman’s knot in the same way on the other end of the cord. Be sure to leave about a 1 to 2″ (2.5 to 5cm) tail coming out of the knot. Make sure the knot is very tight. 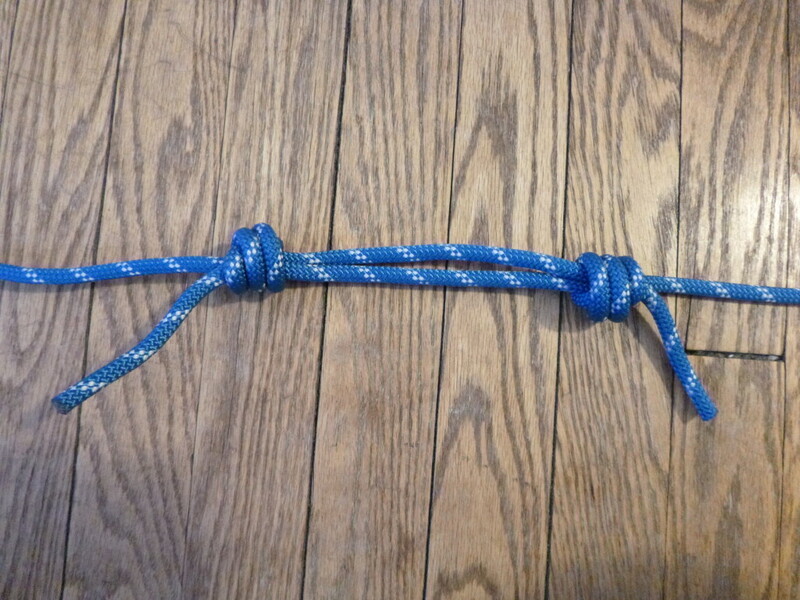 The cordelette is now joined by two fisherman’s knots. Pull the cord until the fisherman’s knots are tight against each other. You may want to mark your cordelette with some colored tape so you know which cordelette is yours. You may also want to tape the tails down so that they don’t get snagged, though they are usually left free so that the cordelette can be retied (using a different method) in a shorter loop if needed. You now have a cordelette! Have an experienced climber check it before use. Looking for more rock climbing how to’s? 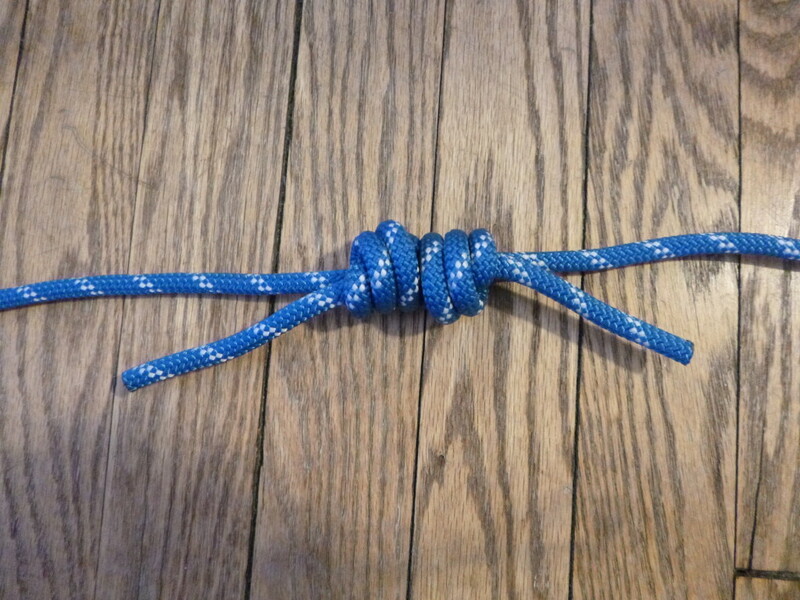 Check out How to Make a Prusik Cord.